How Artificial Grass Will Transform Your Beer Garden! Despite the fact that the weather is currently about as unpredictable as Arsenal’s Premier League away form, we can all be happy with the fact that we’ve already been able to enjoy a significant amount of sunshine. The fact that we’re only into the second week of April is an incredibly good sign for the rest of the year- with many experts suggesting that this summer could be one of the hottest we’ve ever seen! Well, it’s exactly this time of year when people want to spend the majority of their time in the sun by soaking up some rays in their local beer garden. When the temperatures rise and the skies become clear, it’s no secret that millions of people across the country will flock to their favourite beer gardens and spend the day drinking in the sun. – By installing some of our top quality artificial grass in your beer garden, you’ll be bringing a whole new level of beauty to your outdoor space. Nothing looks quite as good as a fresh patch of grass lying under your tables and chairs, and the vivid greens of our lawns won’t fail to have people turning heads. Potential customers will see the grass and will be drawn towards your beer garden just because it looks so good! – When people head out to a beer garden on a sunny day, they’re doing so because they want to spend the day relaxing. Our artificial grass looks and feels just like the real stuff, and the soft surface will make your beer garden a much more relaxing place to be! This means that people will be much more likely to spend the whole day spending money at your bar! – The pub, bar and restaurant industry is obviously a very competitive one, and you’ll always find yourself trying to fend off the competition. When it’s a glorious, sunny day, people will have to choose where they want to spend their time- and so you need to do whatever it takes to stand out from the crowd. Our artificial grasses are so vibrant that people will certainly take notice of your beer garden, and you’ll be head and shoulders above the competition in no time at all! 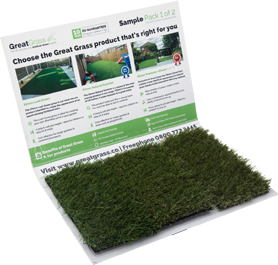 We are the leading providers of artificial grass here at Great Grass, and please get in touch with our dedicated team if you have any further queries regarding the products we have available!